By 2025, the Netherlands may only allow electric vehicles on the road. 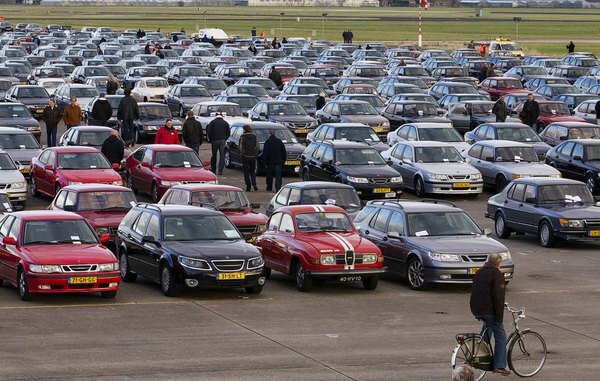 A majority of elected officials in the Tweede Kamer, the lower house of Parliament, supported a motion proposed by the Labor Party to ban all diesel and petroleum cars from the Dutch market starting in 2025. If enacted, this proposal would allow existing fossil fuel-powered cars to stay on the road until they died, but when it comes to new sales, only electric cars would be permitted. While it is still unclear whether or not the motion will pass, some electric enthusiasts see the proposal as progress all the same. This proposal doesn’t mean that the Netherlands is a model of energy efficiency– yet. Natural gas and petroleum make up the majority of the Netherland’s energy resources at 41 and 42 percent respectively, with solid fuels coming in third at10 percent and finally renewable energies making up five percent of the overall energy mix. In 2012, the transportation sector consumed the most energy of all sources, constituting 29 percent of all consumption in the Netherlands. In the United States, by comparison, transportation represents 27 percent of the country’s consumption, according to a 2015 report from the Energy Information Administration. This isn’t the first time that the Netherlands has announced an ambitious energy-saving goal in transportation technology. The Dutch energy company Eneco, partnering with VIVENS rail companies, announced a plan in 2015 to make a fleet of trains powered entirely by wind energy within the next three years. For almost a year now, the Netherlands has boasted the world’s first solar road, a bike path made of solar panels that generate enough electricity to power a small home for a year. The Netherlands has also announced plans to pave roads with recycled plastic, which they market as durable and low maintenance, with a smaller environmental impact than asphalt production. “They are not fancy cars for rich people – there are many affordable ones. And if you compare apples to apples, the total coast of ownership is very competitive,” he explains. Along with these myths, there are also a lot of positives that gas or diesel-powered cars don’t experience.